This may be a surprise to you, but I didn't have that much of a sweet tooth until I began baking a few years ago. Now desserts are a huge part of my life, and I can barely go a day without consuming something sweet. 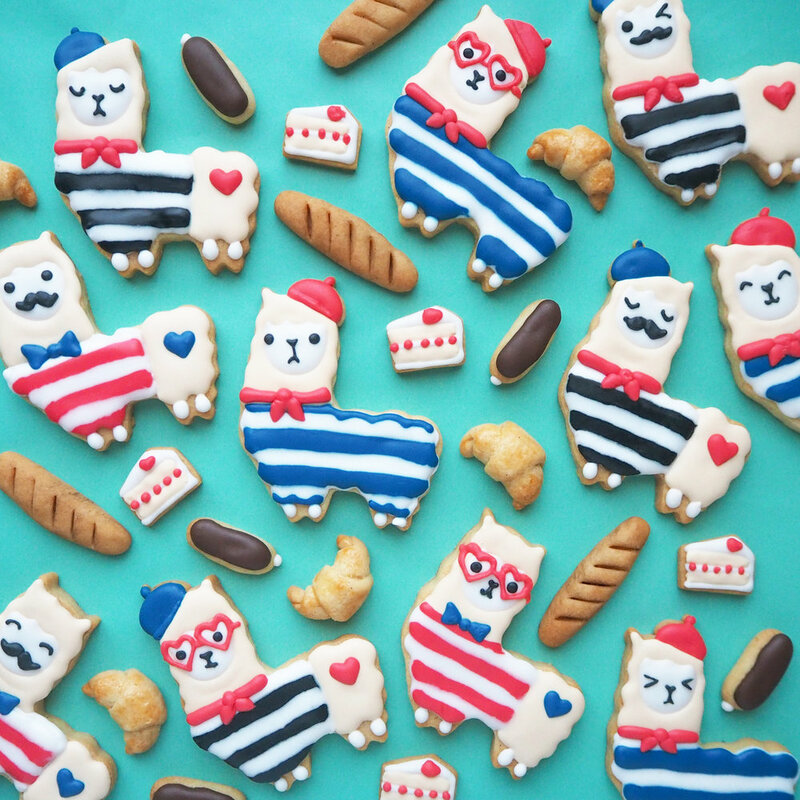 Reminiscing about my food adventures from past travels led me to create these fun and quirky cookies based on two things that never fail to make me smile - llamas and french pastries! Keep scrolling to see what I dreamt up. Make your favourite sugar cookie recipe, and leave to chill for a few hours, or overnight. Whip up some royal icing, and dye into beige, red, blue and black. Transfer into piping bags. 1. Cut out dough with llama cookie cutter. To make the beret, use the top of of a small raindrop or circle cookie cutter, then roll a tiny ball for the tip. Cut off the top left or right corner of the llama, then attach the beret with egg white. Bake and cool completely. 2. Ice the cookie with beige icing, leaving the face, beret, feet and top half blank. Leave to set. 3. Pipe on the face with white icing, and add on the striped top in preferred colours. Pipe on the tip of the beret, and leave to dry. 4. Pipe on the beret and the feet. Leave to dry completely. 5. 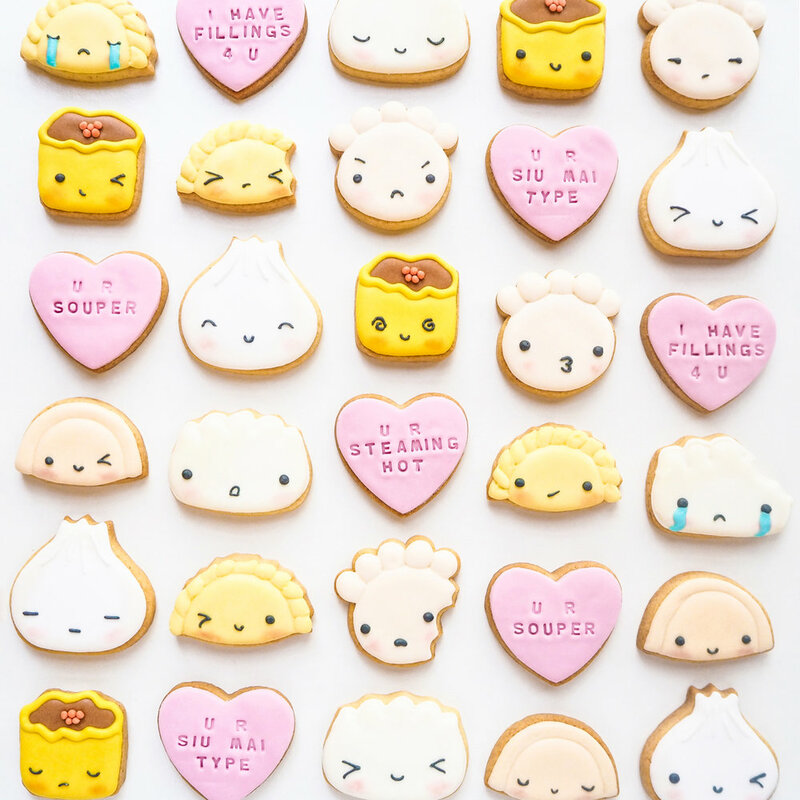 Add on the scarf, heart, and pipe on the facial expressions with black royal icing. Get creative! You can add some quirky details to make your llamas unique, such as moustaches, glasses and bow ties. 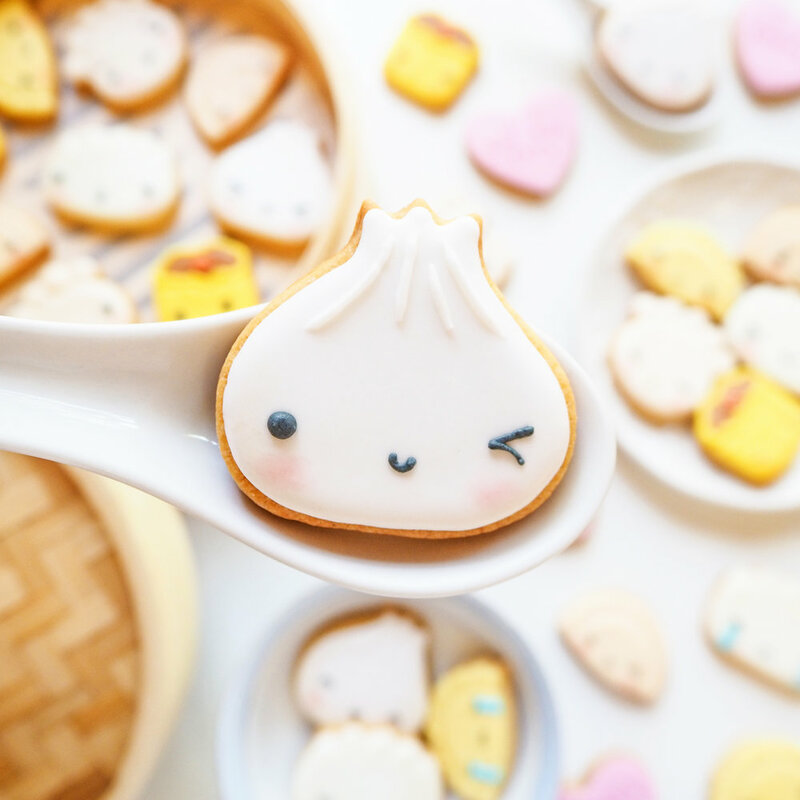 *To speed up the royal icing drying process, place cookies in oven on the lowest temperature for 10-15 minutes between each layer drying. The top layer will form a crust, and you can continue decorating with icing. *Royal icing generally takes at least 6 - 8 hours to dry completely, though could be longer depending on the climate you live in. If packaging cookies, allow them to dry overnight for the best results. 1. 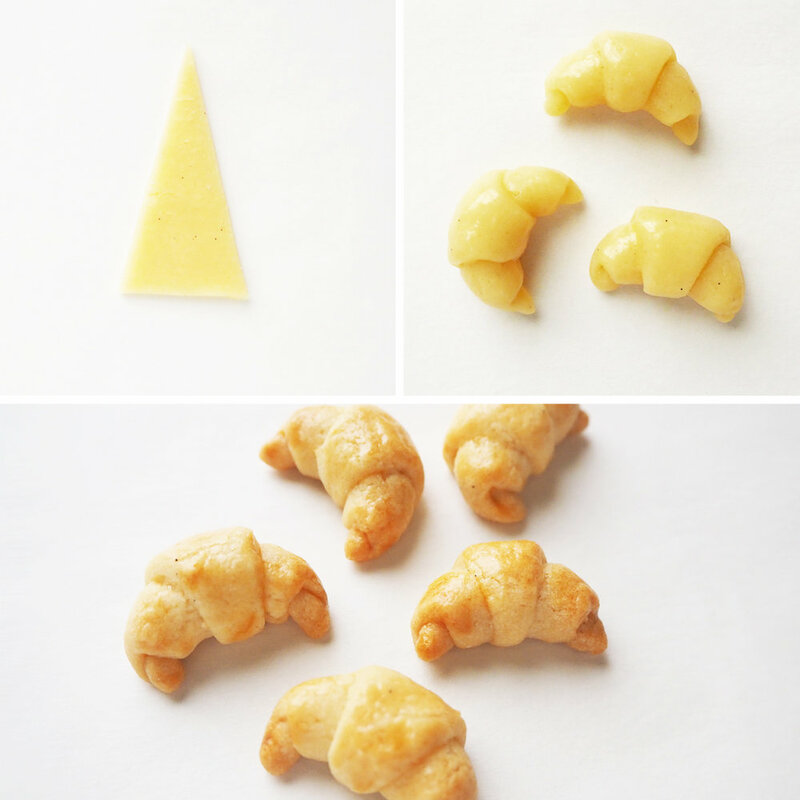 Roll out cookie dough to a thin sheet, then cut into triangles as you would with a regular croissant. 2. Roll up into the shape of a croissant, then pinch the two ends closer together and brush with egg wash.
1. Roll a strip of dough in the palm of your hands, until you’ve reached a length and shape you are happy with. Cut slits on the top with a small knife, then bake until slightly browned. 2. Using a small brush, brush on cocoa powder for extra texture and detailing. 1. Roll thin strips of dough in the palm of your hands, then cut to desired length. Ensure the edges are all rounded. 2. Bake and cool completely. Decorate the top with flood consistency brown royal icing, then add a dot of white icing on one end. 1. Hand cut a mini slice of cake. You can use a template, or do it free hand. Bake and cool. 2. Decorate the cake base with white and beige icing, then add on red details for the strawberries. I hope you like these French inspired llama cookies and mini pastries as much as I enjoyed making them. I have teamed up with Roadshow to celebrate the release of The Nut Job 2: Nutty By Nature which is now in cinemas Australia wide. Following the events of the first film, Surly and his friends must stop Oakton City's mayor from destroying their home to make way for a dysfunctional amusement park (watch the trailer here!). 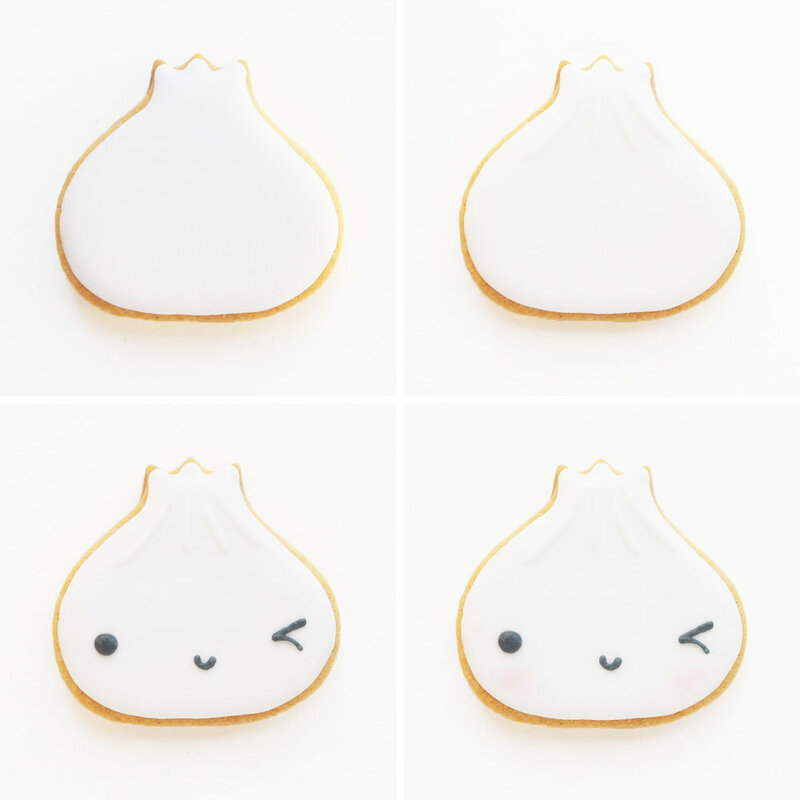 To join in on the fun, I dreamt up the gang: Surly, Mr. Feng, Precious and Andie, in these adorable and fun cookies for you to try at home. 1. Follow instructions to make your favourite cookie dough. 2. Print out templates of the 4 characters (Surly, Mr.Feng, Precious and Andie), and cut them out. 3. Roll out cookie dough, then lay templates on top of the dough. 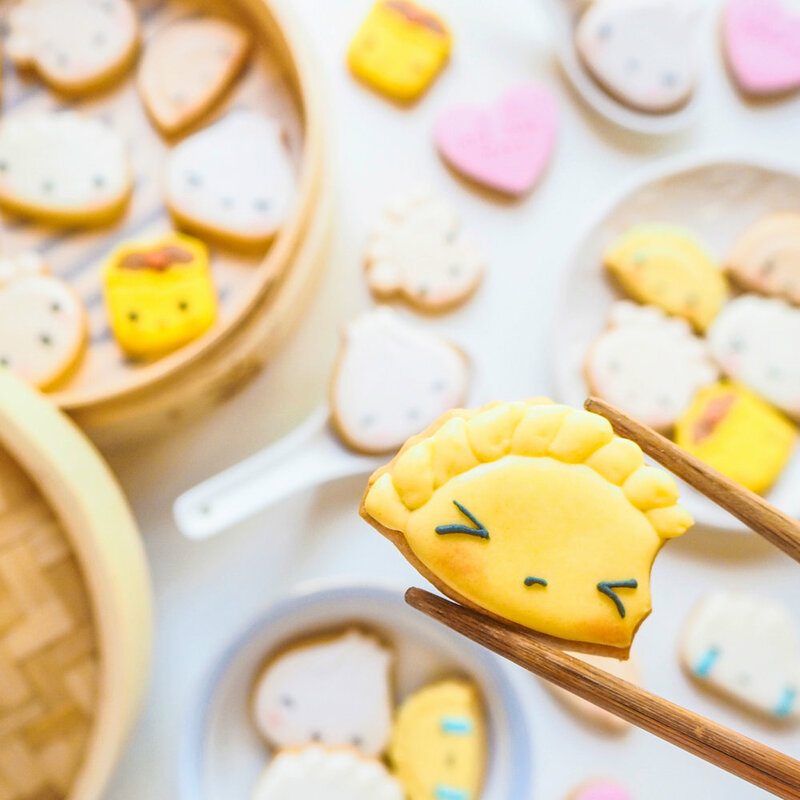 Use a small knife to carefully cut out the characters, then chill in freezer for 15 minutes before baking. 4. 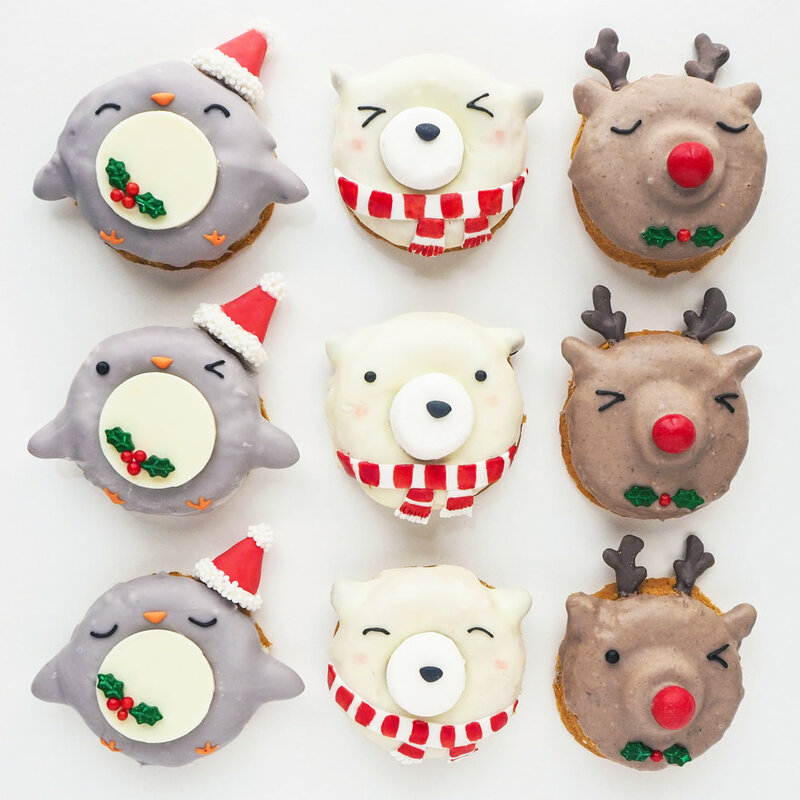 Bake cookies, then cool completely before decorating. 5. Dye fondant and royal icing to desired colours. You can also replace the fondant with royal icing if preferred. 1. Cover cookie with purple fondant, using a brush with some water to stick onto cookies. 2. Using the template, cut out white fondant for the belly and face. 3. Add on white eye base, and make a little acorn out of brown fondant. For the hatch details of the acorn, score in lines with a small sharp knife. 4. Add on purple fondant arms around the acorn, and add final details with black royal icing and purple edible marker. 1. 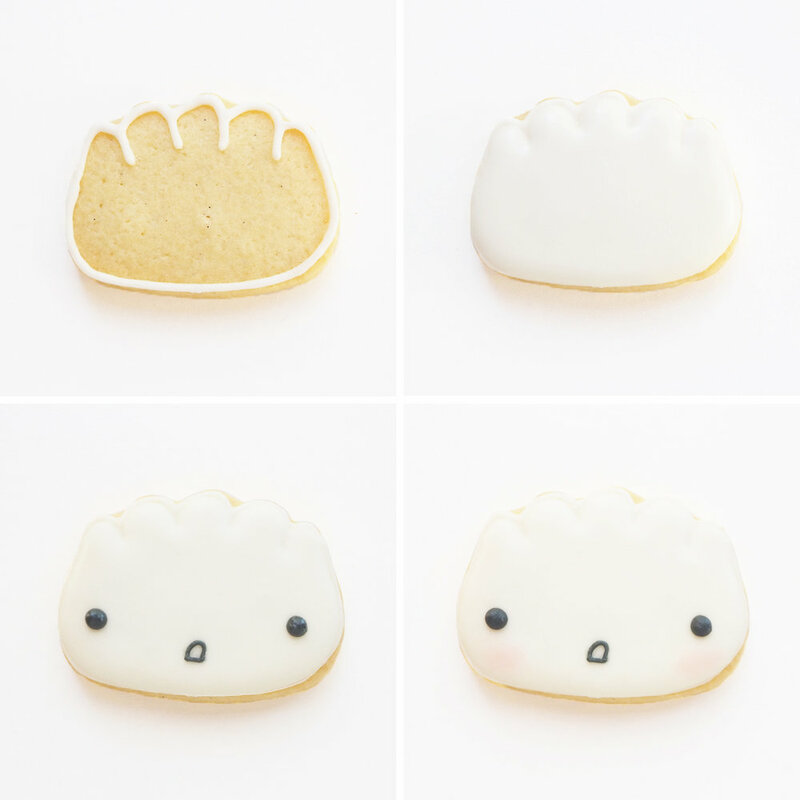 Cover cookie with white fondant, using a brush with some water to stick onto cookies. 2. Use pink royal icing to add on details for the ears, nose, and paws. 3. Pipe on facial and body details with light grey icing. Leave to set. 4. Add final eye details with royal icing, then lightly trace over the dried grey icing with a black edible marker. 1. Cover cookie with tan coloured fondant, using a brush with some water to stick onto cookies. 2. Cut out ears, eyes and nose segments from dark brown fondant, and attach onto the cookies. 3. Cut two small red strips for the collar, and pipe on the eyes, nose and mouth with royal icing. Leave to set. 4. Using brown edible marker, draw in the paws, legs, collar and wrinkle details. Attach a small piece of red fondant for the tongue. 1. Cover cookie with orange fondant, using a brush with some water to stick onto cookies. 3. 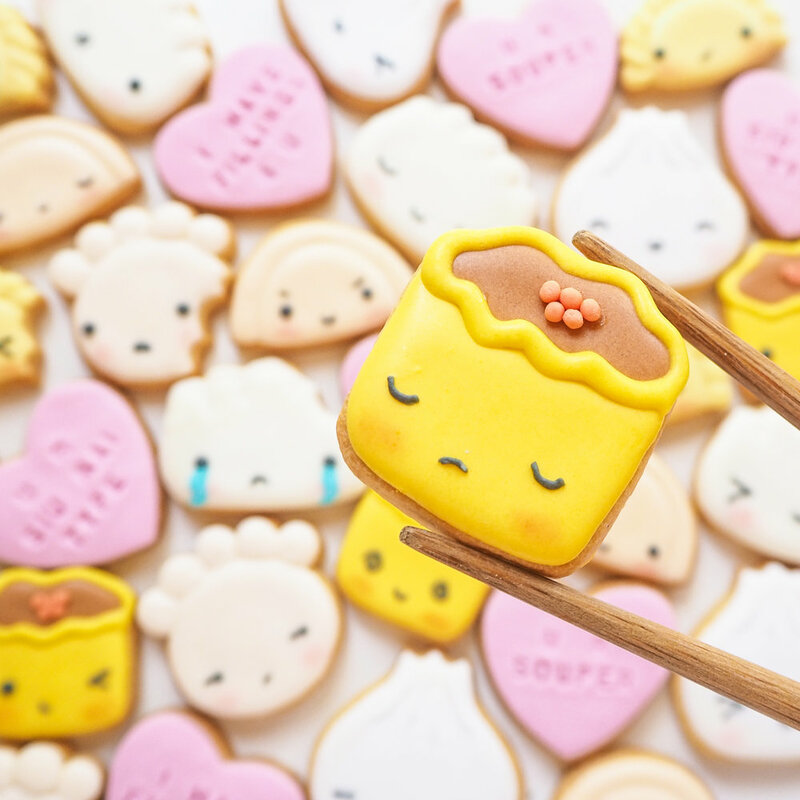 Cut out arms with the orange fondant, and attach onto cookie to appear as though they are crossing over one another. 4. Add one final details with black royal icing and orange edible marker. Go nuts and let me know which character is your favourite! 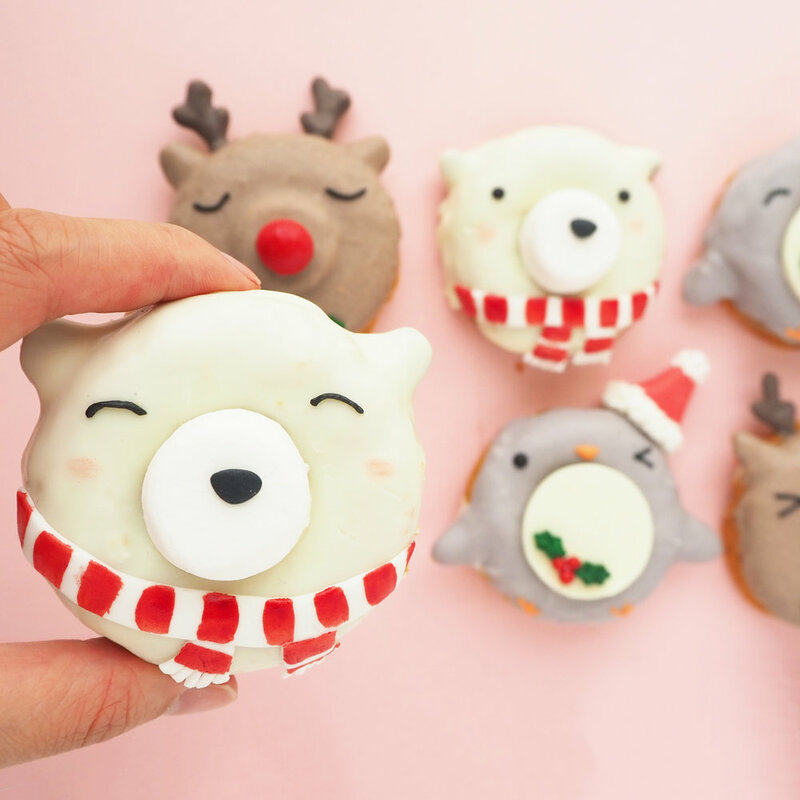 Christmas is less than a week away, so I thought I would share some festive dessert decorating ideas with you guys - starting with these animal donuts! 1. Dip one end of the pistachios into melted chocolate, then stick into the donuts for the ears. When the chocolate has set, dip donut into melted white chocolate. 2. Place a marshmallow into the donut hole and leave to dry. 3. Pipe on eyes with black royal icing, and stick on a small nose made from fondant. Roll out some white fondant and cut into thin strips to make the scarf. Stick on the donut with melted chocolate. 4. Combine red gel food colouring and vegetable oil in a small bowl to make red edible paint. Paint stripes onto the fondant scarf. 1. Dip the thicker end of the almonds into melted chocolate, then stick into the sides of the donuts for the wings. When the chocolate has set, dip donut into melted grey chocolate. 2. 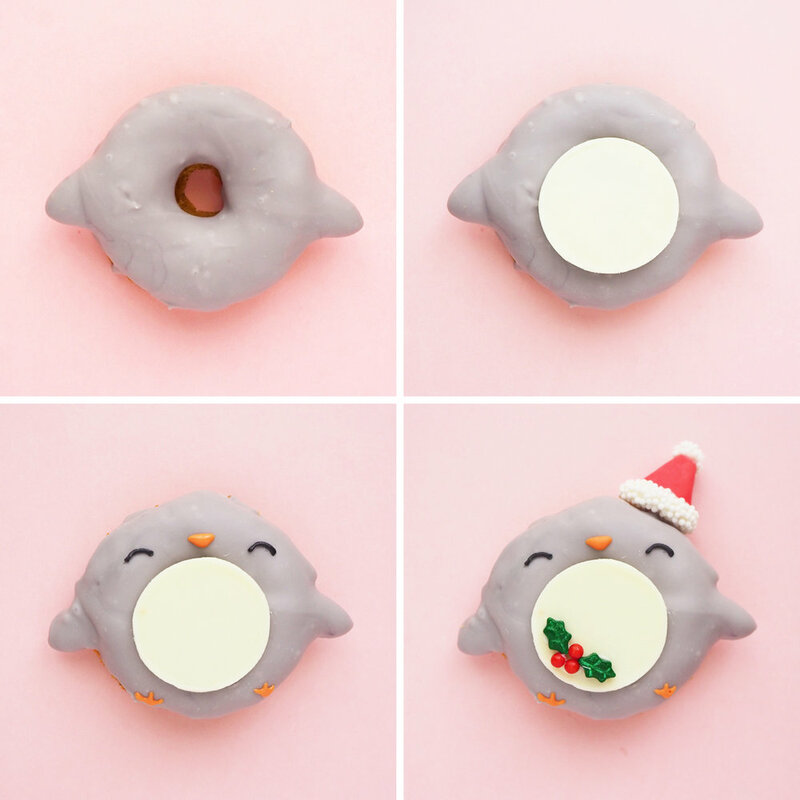 Places pre-made white chocolate circle in the centre of the donut as the *penguin bellies. 3. Pipe on the eyes with black royal icing, and the beak and feet with orange royal icing. 4. Using melted chocolate, add holly sprinkles onto the penguin’s belly. Lastly, stick the pre-made *santa hat into the top of the donut. *Penguin bellies: Melt white compound chocolate in the microwave or with a double boiler. Pour chocolate onto a lined baking tray, and spread thin and evenly. Tap the tray lightly on a kitchen bench to smooth out the chocolate, leaving to set until firm, but not completely hard. Use a small circle cookie cutter to carefully cut out the chocolate circles. *Santa hats: Roll red fondant into a small cone shape. With water, attach a strip of white fondant around the bottom edge of the cone, and a small white fondant ball at the tip of the cone. When dry, dip the white sections into melted chocolate, followed by a coating of white non pareil sprinkles. Leaven to harden. 1. Dip one end of the pistachios into melted chocolate, then stick them into the donuts for the ears. Attach a marshmallow into the donut hole. 2. When the chocolate has set, dip donut into melted milk chocolate. Add a red M&M in the middle of the donut for the nose, and holly sprinkles to represent a bow tie. 3. Dip the bottom of the pre-made *chocolate antlers into melted chocolate, then stick into the top of the donut. 4. Use black royal icing to pipe on the eyes. Chocolate antlers: Melt dark compound chocolate in the microwave or with a double boiler. Alternatively, you can use milk chocolate with added black oil based colouring to create a dark brown. 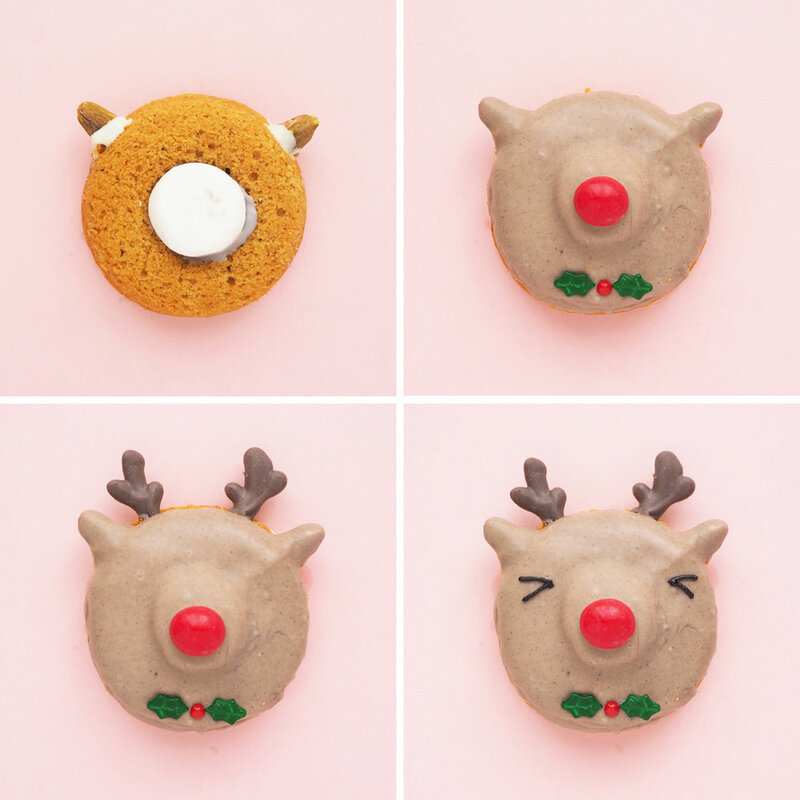 Transfer chocolate into a piping bag or bottle, then pipe out antlers onto a lined baking tray. Leave to harden completely before use. Have a tree-mendous holiday season!